Easy living in this lst floor unit. All appliances including full size washer/dryer. Fresh neutral paint throughout. 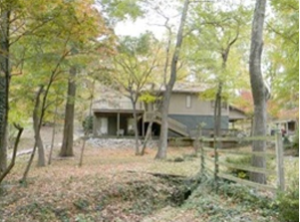 Enjoy looking out to the wooded area and having more privacy. Spacious master with nice size walk-in closet. Conveniently located to downtown and hospital. This unit has secure entry and is turn key. Walk to hike/bike trail, downtown, Elon Law. 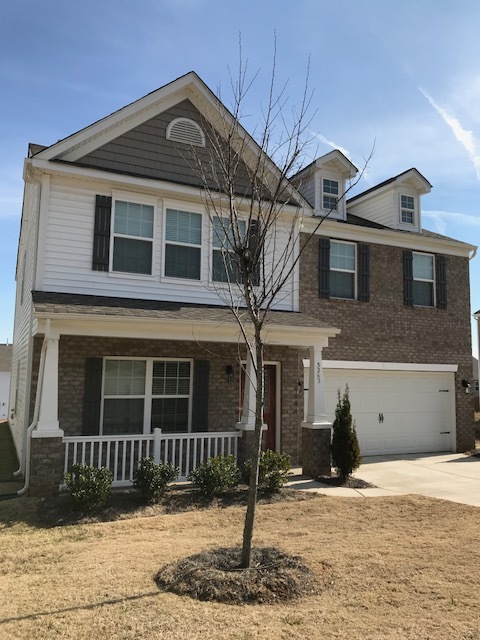 Brand new, two-story townhouse. Move in ready. Conveniently located off Bridford Parkway. Open floor plan with spacious rooms. Large living / dining room and a breakfast area in big eat-in kitchen. Big master suite with a private bath and a fenced backyard with a patio. Upstairs utility room with washer/dryer connection. Beautiful neighborhood pool with showers & bathrooms. Beautifully updated 2BR with hardwood floors throughout. Bright, sunny home with 2" wood blinds at windows. Eat in kitchen. Separate laundry room with washer/dryer. Shared back yard. No pets allowed. 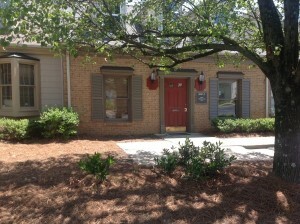 Spacious 3 BR 2BA ground level condo in pristine move in condition. 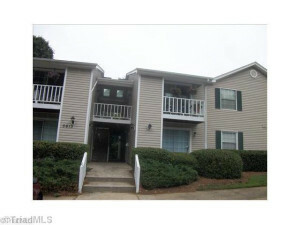 Includes all appliances and washer/dryer. 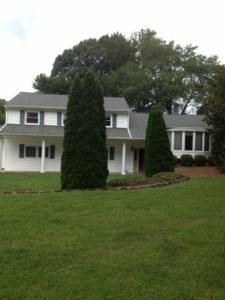 3300 sq ft home built 2005 offers 4 Bedrooms 3 full baths and powder room. White appliances. 2 car garage. 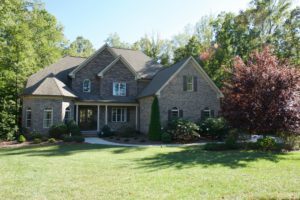 8390 Cedar Ridge Farm Ct. Looking for privacy and not looking into your neighbors windows, this is the house for you. Gated community. 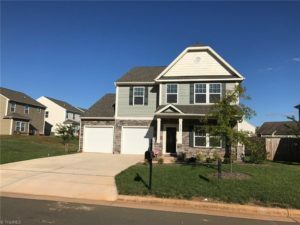 Over 4300 sq ft featuring Hardwood floors, tile and open floor plan , lst floor master bedroom, 4 Bedrooms upstairs, Northern school district. 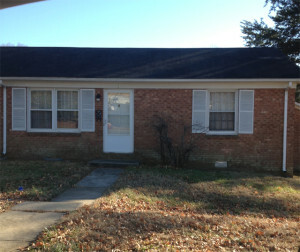 Well maintained 3 BR Brick home. Eat in Kitchen. Living Room and Dining Room or 3rd BR/office. Enjoy maintenance free living in well sought after neighborhood. 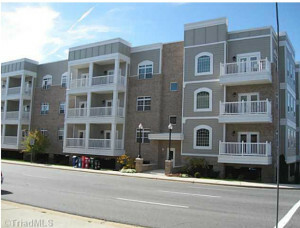 3 Story THS 2-3 BR's. 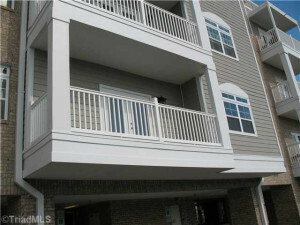 2BR's on 3rd level each with bath. Laundry on 3rd level. Ground floor has a finished room with sliding doors & full bath that can be a 3rd BR or family room with sliding doors to a patio. Kitchen features black appliances. Sliding door to deck. Open floor plan for LR/DR combo. Lots of windows. Very bright happy home. Lovely maintained home with lots of charm and character. Beautiful hardwood floors. Living room with fireplace. Gorgeous picture window in dining room. Modern updated kitchen with ss appliances, granite counter tops. First floor master suite with office or sitting room. 3 bedrooms on 2nd level. Renovated bathroom. 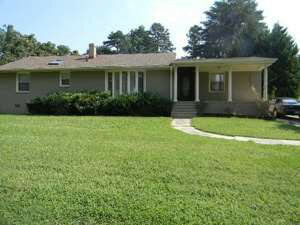 Ideal location to shopping, restaurants, Bryan Blvd, airport. 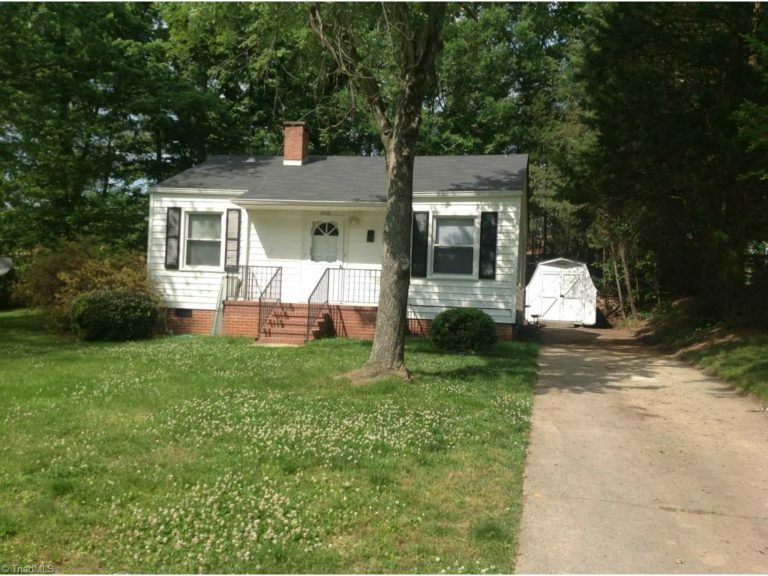 Well maintained 2BR 1BA home with hardwood floors throughout. Freshly painted. W/D included. Storage shed with electric. Private back yard. 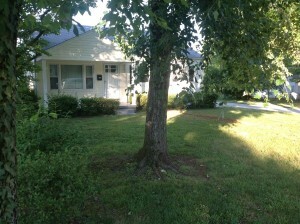 Convenient location in established neighborhood. The owner has changed out the flooring, fresh paint, new counter tops & sink, new back door. Large storage shed in backyard new roof and paint. Fireplace in living room. 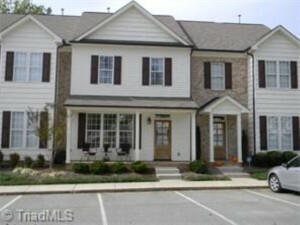 Well maintained town home with 2 BR each with its own bath on the second floor. Laundry room on 2nd floor includes the washer & dryer. First floor powder room, LR and DR with French door to patio overlooking a wooded area. Kitchen has built in microwave, dishwasher, disposal, refrigerator. 1 car attached garage. Freshly painted interior with hardwood floors and tile throughout. Over 2,100 sq ft of living space. Finished lower level with fireplace walk out basement to patio. Enjoy the neighborhood pool and club house in the warm weather. 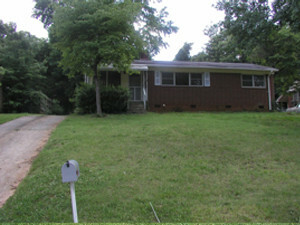 Great location blocks from Bessemer Elementary School. Hardwood floors throughout. Living room, eat in kitchen with refrigerator and stove. Separate laundry room with washer /dryer hookups. Ideal location. 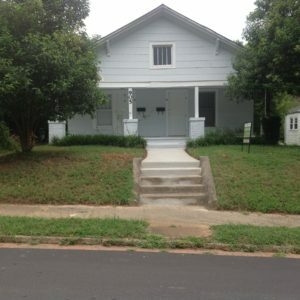 Convenient to downtown,UNCG, restaurants. 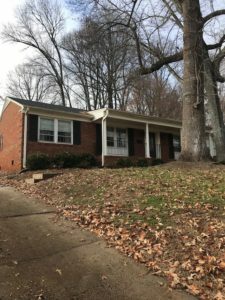 2BR/ 1BA hardwood floors. Driveway with off street parking. Completely redone house. 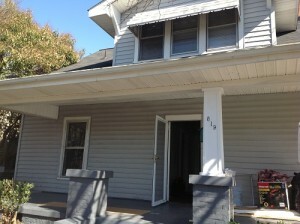 Hardwood floors, Living room, dining room, two bedrooms and a bathroom on the first floor. Living rooms, two bedrooms and a bathroom on the second floor. Within walking distance of UNCG. Lovely home with front porch in great neighborhood. Hardwood floors. Family room with built in shelves and FP. Sunroom. 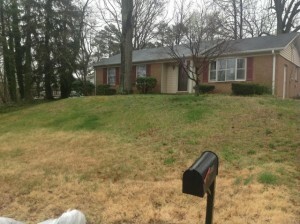 Large fenced backyard Kaiser & Grimsley school district..
Renovated 2BR apartment. Fresh paint, new flooring. Rent includes water. available now. Located behind Four Season Mall. 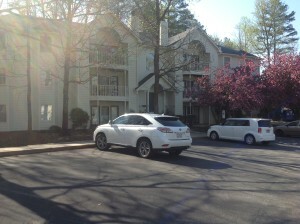 Ideal location near bus line, Four Seasons Mall, near I85. Spacious 2BR apartment. Water is included in the rent. New home only 1 year old has all the latest features. Granite, wood floors stainless/black appliances, high counter top in some bathrooms. Bonus room on 2nd floor. 2 car garage. 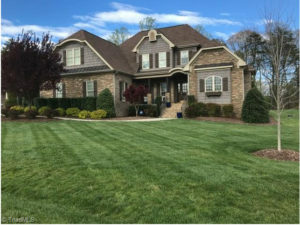 Enjoy all the great amenities that Reedy Fork offers, pool, tennis, club house, elementary school, great walking areas, convenient for people who work in northern parts of NC & southern VA or need easy access to Burlington Raleigh/Durham. 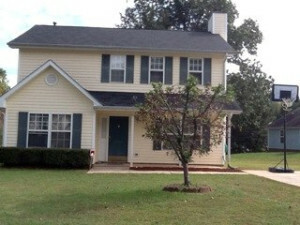 Well maintained 3BR/1.5 BA brick home. Spacious LR with large picture window offers a bright sunny room. hardwood floors throughout most of house. Sunroom/family room with wood stove. Nice size kitchen with appliances. Fenced back yard with storage building. 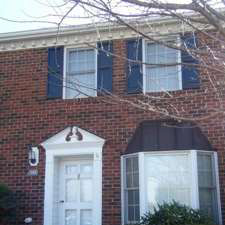 Nice neighborhood convenient to Holden Rd, I40, downtown, shopping and restaurants. 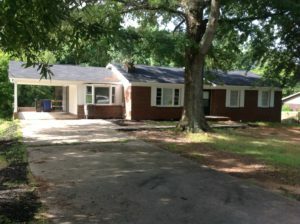 Well maintained brick rancher with updated bathrooms. Eat in kitchen, separate laundry room. Spacious living and dining rooms. Family room features fireplace with French door leading to large deck overlooking beautiful backyard. Enjoy quiet living in this cul-de-sac. Blocks from Greensboro Day School. 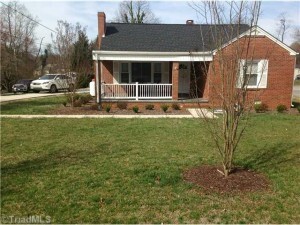 Well maintained home with new windows for energy efficient utility bills. Vaulted ceiling in LR with FP. Kitchen has lots of new counter space New kitchen sink. . 1st fl master BR. Garage with washer/dryer. 2BR's and bath upstairs. Washer/ dryer in unit can be used. 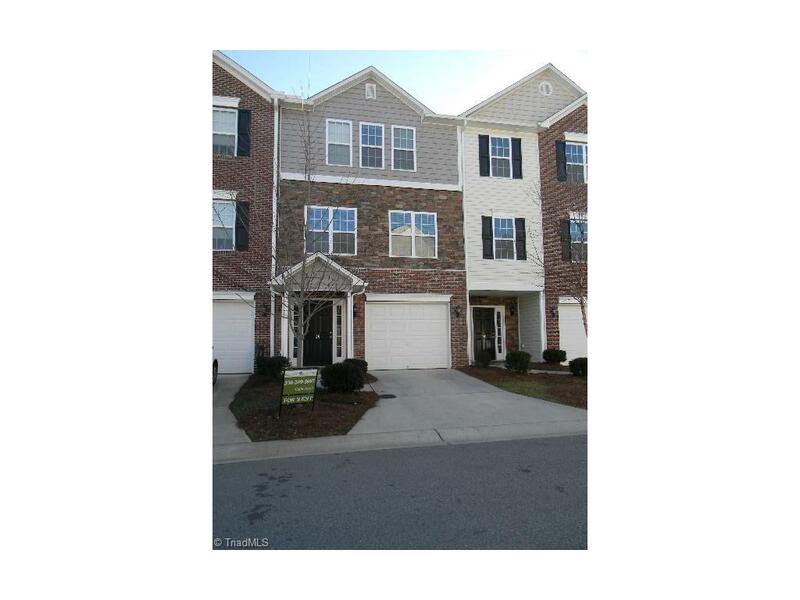 Convenient location to I85. Beautiful home. Open/traditional floor plan. Family room has fireplace with gas logs. French door to fenced back yard. Great neighborhood. Ideal large home with lots of space. Great kitchen with black appliances. Owner may leave washer/dryer. Wood blinds on windows. Finished 3rd floor. HOA maintains front yard. 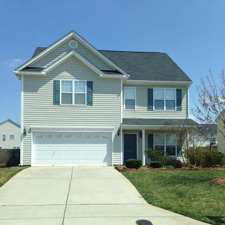 Enjoy country living yet convenient to Greensboro, Burlington, Raleigh. Great one story living. maintenance free living, no yard work. Bright open floor plan. Kitchen with breakfast area with large bay window. All kitchen appliances included. LR/DR combo with vaulted ceiling, marble surround FP, built in shelves and French door to patio with garden area and privacy fence. 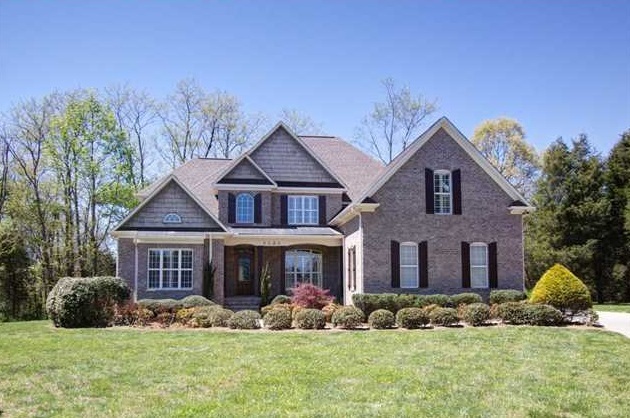 Master BR features a sitting room and master bath with large tub/shower. Convenient location to restaurants, downtown. 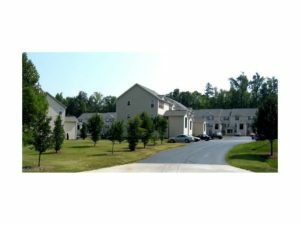 Quiet community close to shopping, lake and new library. 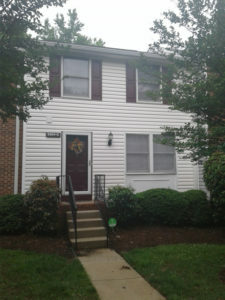 Well maintained condo on 2nd level with garage. Great floor plan. Spacious LR with FP and french door to covered deck. Separate DR. Kitchen includes all of the appliances. W/D included. Master BR with large bathroom separate shower and garden tub. 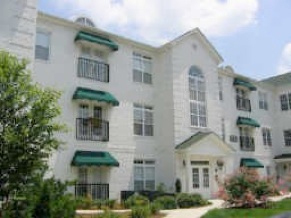 Ideal location convenienent to shopping, restaurants, downtown and airport. 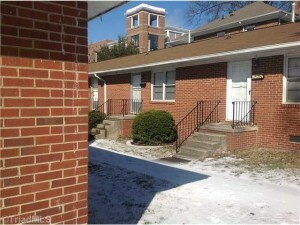 Two bedroom, two bathroom condo built in 2006 located in Old Irving Park. 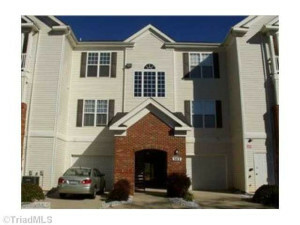 Condo is in excellent condition and includes the use of a one car detached garage. 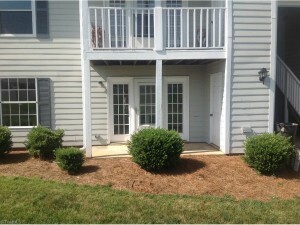 Hardwood floors in kitchen and hallways, tile in the bathrooms and carpet in living and bedrooms. Kitchen has solid surface countertops with a custom tile backsplash. Floor plan is split which makes it perfect for roommates. Closet to downtown, Elon Law, UNCG, Moses Cone Hospital and greenways. Water is included in rent. 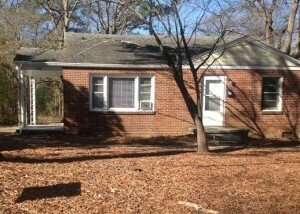 3 BR Brick ranch situated on beautiful lot surrounded by trees. Sought after neighborhood close to parks and playground. 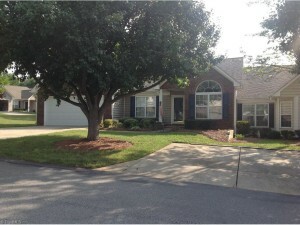 Home features hardwood floors in formal LR, DR, kitchen and family room. Family room has built-in shelves wood burning fireplace. Large deck off of FR & Kit overlooking large private backyard. 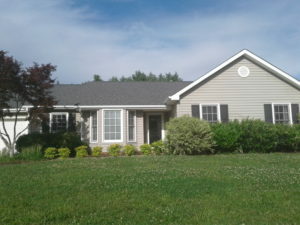 Large finished basement, lots of storage and garage. Great 3BR home. Great room with FP large eat kitchen. Laminate flooring DR, hall and Kitchen. New carpet in great room and upstairs. Large eat-in kitchen, lst fl laundry room. Extra room used for office, playroom or storage. Upstairs 3 BR's. Master with bath. Jetted Jacuzzi tub, separate shower, double vanity sinks. Large deck overlooking treed lot. Very private. Great neighborhood. Ideal cul-de-sac location for this transitional plan home with a 2 story foyer, large kitchen with breakfast room, Formal DR, Great room, lst fl laundry room and powder room. All 4 BR's on 2nd fl. Master with tray ceiling, Mbath with separate shower & garden tub. Over sized 2 car garage allows for storage. Large storage barn in the back. Private back yard. UNCG off Campus Housing on Campus. Situated across from the Science building and l block from the music building. 1 BR/1 BA includes spacious LR, kitchen with updated appliances, new bathroom, good closet space. Rent includes water and parking. 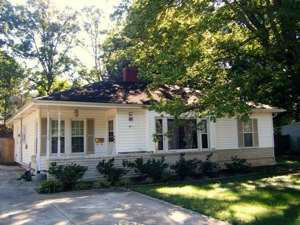 Charming 2BR/1BA bungalow style home that has been completely updated. Laminate flooring throughout. LR with FP, separate DR. Kitchen has an island, new stove, dishwasher, refrigerator. Washer and dryer included. Large back yard with storage shed. Gorgeous two-story townhouse with wood floors throughout. 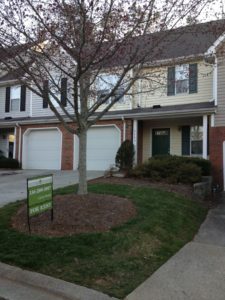 Townhouse features upgraded kitchen with center island, stainless appliances, french door to patio and fenced area, large master suite, oversize second bedroom with plenty of closet space. Work/Play/Live in Beautiful Fisher Park in Downtown Greensboro. 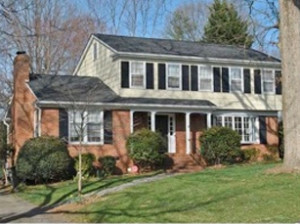 Walk to work/School/Restaurants.Desirable sought after Fisher Park address. Newly renovated 1BR 660 sq ft. Living room, bath and efficiency kitchen. On site laundry facility. New carpet, new appliances, fresh paint, quiet street. Off street parking and includes water. Tenants only pay for electric. Gorgeous unit with garage parking. 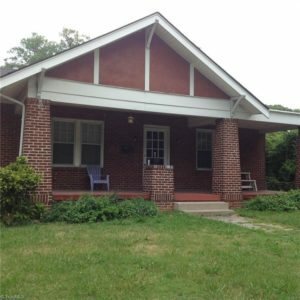 Enjoy this maintenance free living Downtown close to Greensboro College & UNCG campus & Elon Law. Condo features laminate floors, granite in kitchen, stainless appliances. Laundry room with w/d. Located across the street from the YMCA. Ideal city residence. Available now. 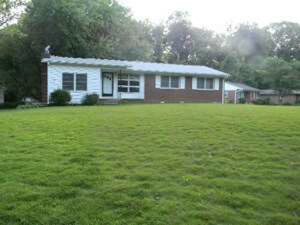 Beautiful ranch home set back on a long driveway situated on over 2 acres. Home has been painted and updated both inside and out. FR is wired for surround sound and security system. 2 Fireplaces, hardwood floors, tile in kitchen, bathrooms. Kitchen has double ovens, 2 refrigerators. Sun room off of the FR, 2 decks one off the sunroom and the other off the MBR. Beautiful back yard with circle driveway to a 2 car attached garage. Very private setting. 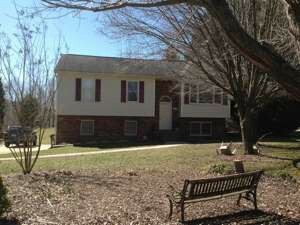 Almost new home features 3 spacious bedrooms, formal living room with fireplace, formal dining room, eat in kitchen. Includes all kitchen appliances. Level lot in back yard with storage building. 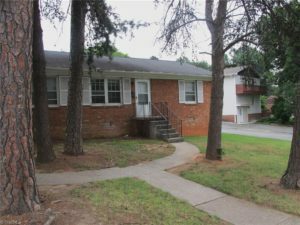 Convenient to route 29 and interstate 85. 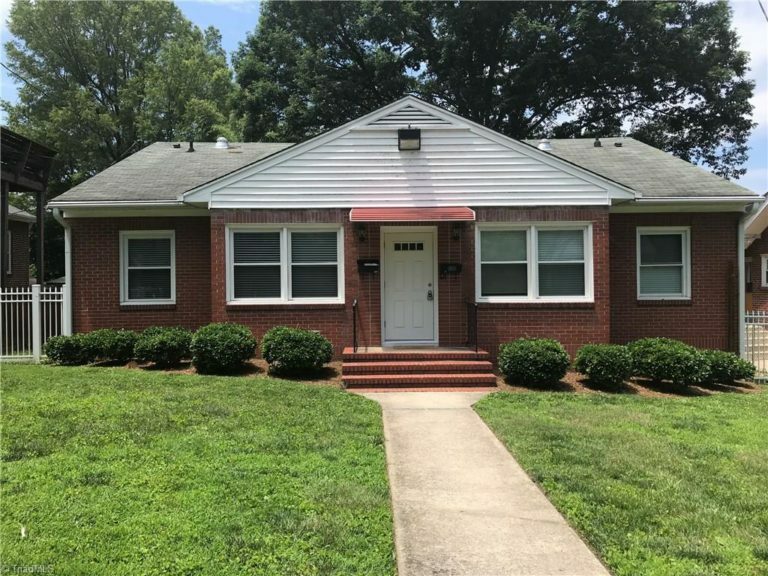 Close to shopping and downtown Greensboro. 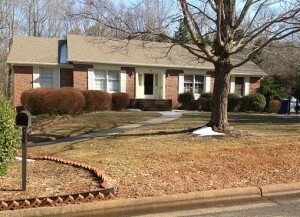 Updated brick rancher on a large corner lot. 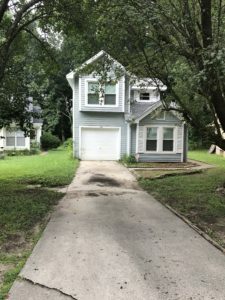 Home features granite counter tops in kitchen with all new appliances, new carpet in BR's, hardwood floors, separate family room with wood burning fireplace. Laundry room includes washer/dryer. Enjoy the large back yard with a patio. 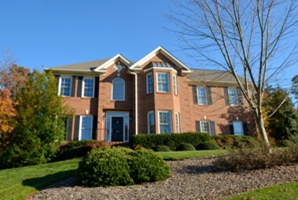 Tuscany neighborhood is a very sought after executive neighborhood. 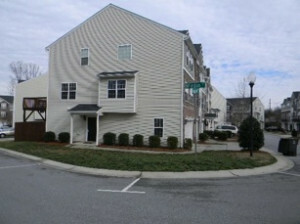 Almost new 2 story townhouse features all of the latest amenities. 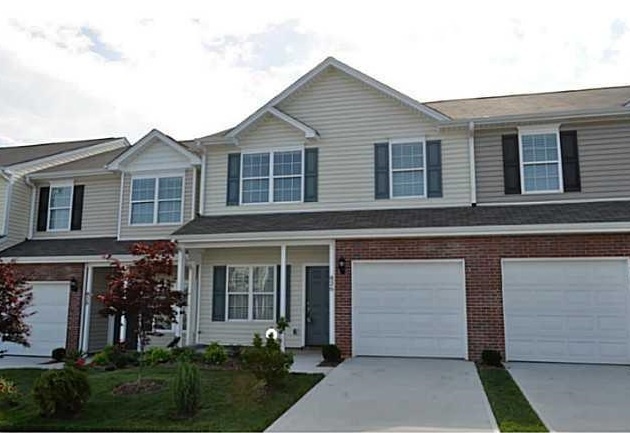 Enjoy cooking in this state of the art kitchen with granite countertops, stainless appliances. Hardwood floors in the living room and dining room. 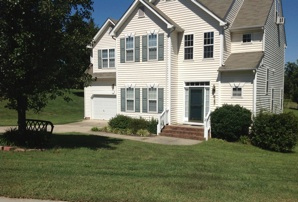 1st floor master bedroom, upstairs loft with 2 additional bedrooms. Relax on the patio. Home has complete surround sound system. Washer/dryer. 2 car garage. 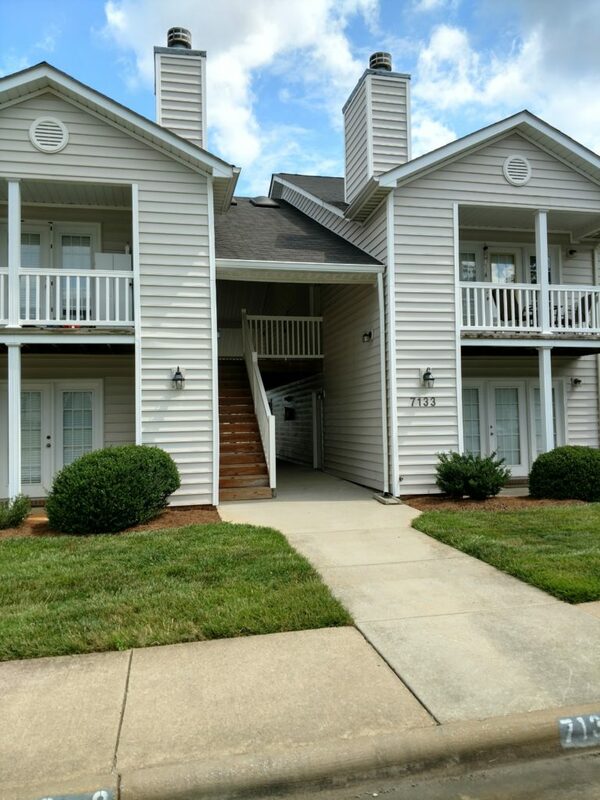 Convenient to downtown Greensboro, Winston-Salem, Jamestown and the close to the airport. Like new, former model home. Hardwoods throughout on first floor. Enjoy the fireplace in LR with gas logs. 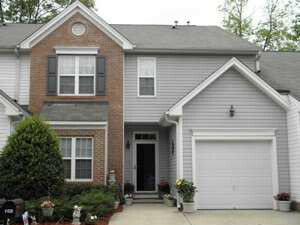 Granite countertops in kitchen with upgraded appliances, double stainless sinks and breakfast bar. Upstairs master has 2 walk-in closets. Rental includes full size washer/dryer. Close to airport,shopping, and highways. 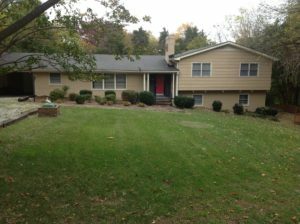 Lovely rancher, large family room with large fireplace. Oversized 2 car garage with large storage/workshop area. Landscaped fenced backyard. 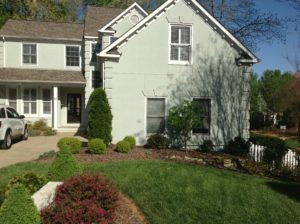 Lovely home on cul-de-sac overlooking Jamestown Park and the 10th hole. 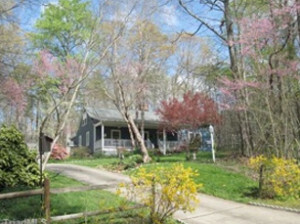 Close to Piedmont environmental center, hike/bike trail, City Lake and Oak Hollow Lake. Sit out on the 20 X 20 deck, enjoy music from the outdoor speakers. This house is for the high tech family, featuring Category 5 wiring (Ethernet type network) and surround sound speakers. Laminate flooring, 9'ceilings, moldings, double vanity sinks in upstairs bathrooms, lots of storage. Large bonus room on 3rd floor. 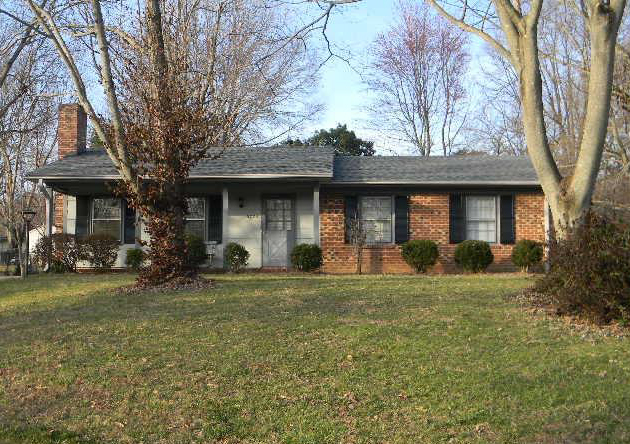 Beautiful 3BR brick rancher with hardwood floors. 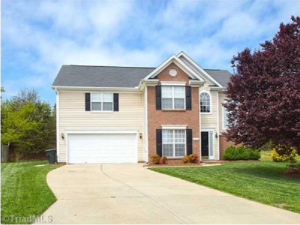 Very bright cheerful home overlooks the Greenway trail. 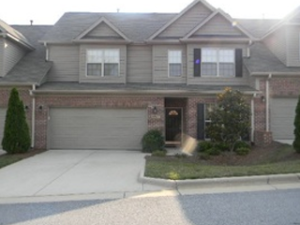 Close to High Point University and Andrews High School. 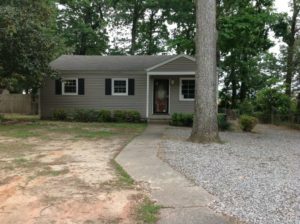 Home features LR/DR, mud room, updated kitchen and bath. Great fenced back yard with storage shed. Wow, are the only words to describe this outstanding home. The setting for this property is breath taking. Can you imagine coming home everyday from work and having it feel like you are on vacation. This is it. 3BR/2BA upstairs. A 4th BR with bath and private entrance downstairs. There is a workshop, finished lower level. Wow! Is the only way to describe this executive home. Imagine renting a home with a gourmet kitchen & cooking on a Wolf range. Stainless appliances, granite countertops. Enjoy the wet bar with a wine refrigerator, filtered water line and a colorful Mexican ceramic vessel sink. All bathrooms have granite countertops. 1st floor powder room has oil rubbed bronze fixtures. Family room with gas log fireplace, book shelves. French doors to screened porch overlooking a beautiful landscaped back yard with an outdoor kitchen. Hardwood floors on 1st floor. Laundry room has a laundry shoot. 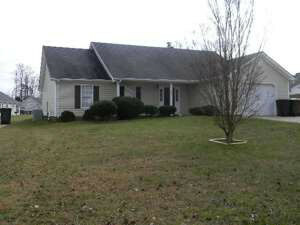 3BR's upstairs with large bonus room or man cave. MBR has a tray ceiling, jacuzzi tub walk-in closet. Large garage has a workbench with electricity & lights. Lots of storage cabinets. Community swimming pool and tennis. Includes lawn service. 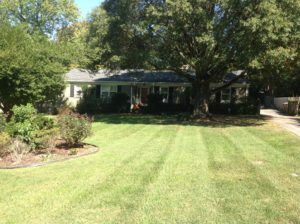 Tenant will pay $150 per month for lawn service. 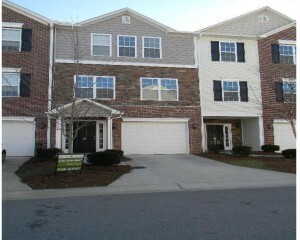 Spacious 3 level townhouse with 2 car garage in the great Willoughby Crest neighborhood, convenient to downtown. Large eat in kitchen with sliding doors to deck. Lower level sliding doors to patio. Very open, airy floor plan. Wood blinds on all windows. 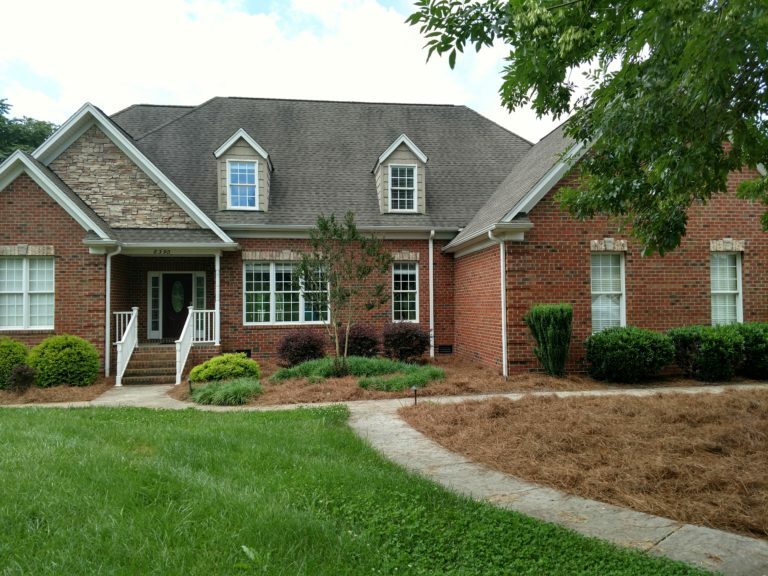 Traditional 4BR/2.5 BA home with beautiful hardwood floors throughout. 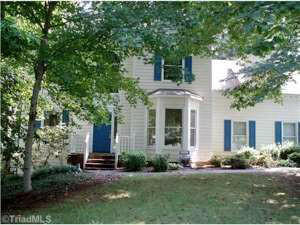 Enter thru charming front porch into foyer with living spaces to both sides. Cozy den with wood burning FP & custom floor to ceiling built-ins. First floor has a circular flow great for entertaining, master BR with full bath and walk in closet. Light & airy kitchen with fresh paint, gas stovetop and 2 pantries! A fantastic mud-room / laundry leads to deck & fully fenced private backyard. Entertain away! 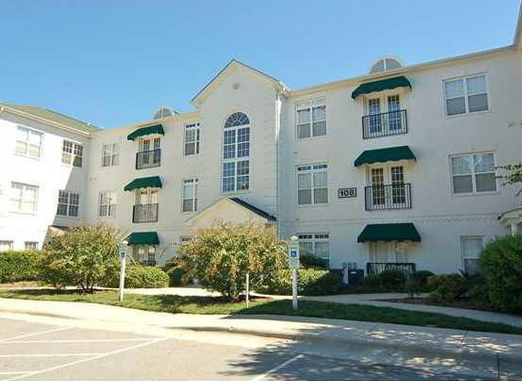 Great location close to shopping & grocery stores. Imagine sitting on the front porch watching the sun set on Lake Brandt from this 1.5 story home high on a hill over looking the lake with spectacular seasonal views on a wooded one acre lot. 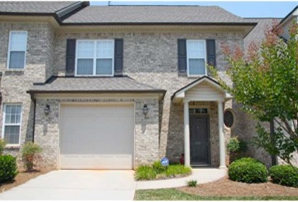 Enjoy this well cared for home with wood burning fireplace. 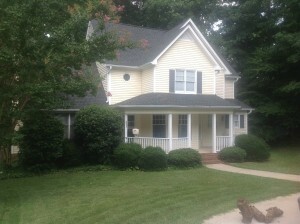 New addition 2 story family room with french doors, hardwood floors throughout. Workshop/Garden house. Marina across the street, biking and hiking trails literally steps away. Lake Jeanette on a corner lot. Very private lot backs up to common area. Dramatic two story foyer. Side entry garage. 3rd bedroom could be bonus room. Open floor plan. Fireplace in den w/gas logs. All hardwoods downstairs. Kitchen has solid surface counter tops/lots of storage and breakfast room. separate dining room. Master bedroom has a trey ceiling. Master bath has jetted tub., sep. shower and a skylight as well. Large deck and fenced backyard. 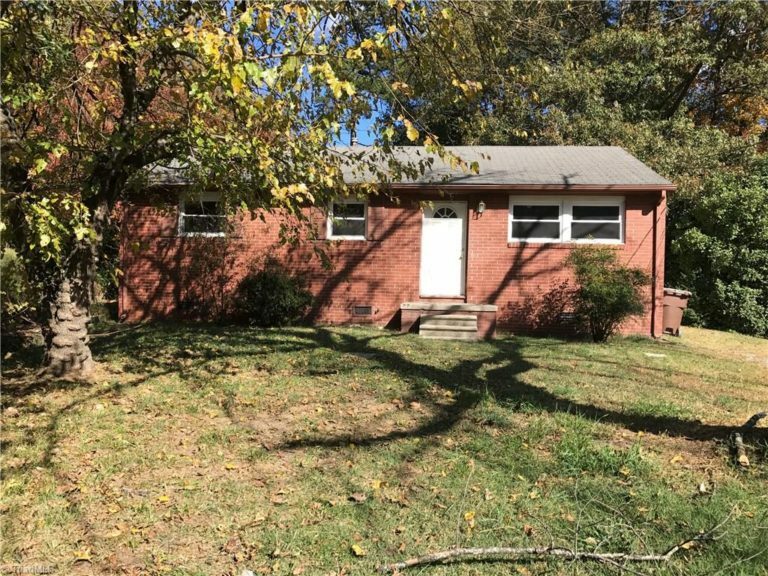 Spacious brick rancher sitting on almost 1 acre with fenced yard. Detached oversized two car garage. 2 master suites. Large kitchen with appliances. Combination kitchen/dining room. 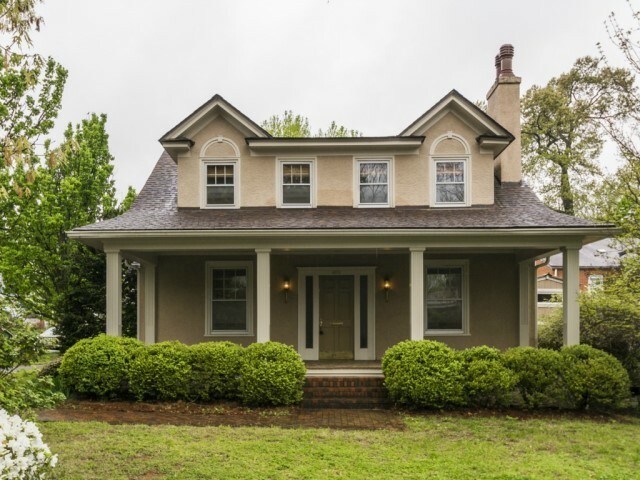 Large bay window in LR overlooks beautiful front yard. Back yard features a gorgeous butterfly bush. Enjoy dining on back yard patio. 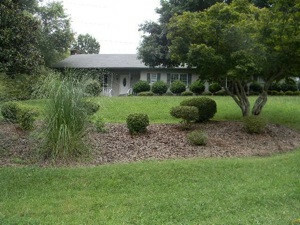 Beautiful 1400+/- square foot home with 3BR/ 2 baths in sought after neighborhood of Lennox Commons. Kitchen has tumbled stone counters with a spacious center isle with extra storage. Excellent floor plan with no wasted space. Full laundry room. Private fenced, landscaped garden area with a 16 x 8 foot patio. Master bath has a large walk-in shower & a walk-in closet. Outstanding location & schools! Gorgeous hardwood floors and ceiling fans throughout the house. 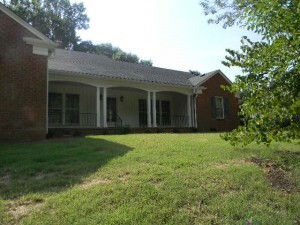 Enjoy country living on this beautiful scenic property on over an acre. 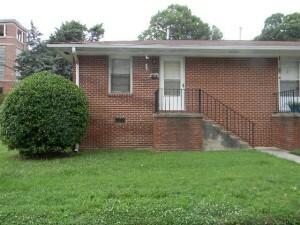 Spacious 3BR/2BA split level home. Large eat-in kitchen with all appliances. Large living room with laminate floor features a large glass picture window. Enjoy views of the country scenery. Lower level offers additional living space with lots of natural light. Oversized two car garage with remotes. Lease only. This is prime office space. 4 individual offices. Largest office has a window. Reception area, secretarial area, conference room. 2 bathrooms and storage. Small kitchen area. Main level master. Charming kitchen and breakfast area. Upstairs loft makes a great office. Walk-in storage 13’1”x10’4”. Lovely view of Deep River and frequent views of deer across the river especially in wintertime. Cable dues included in the HOA. 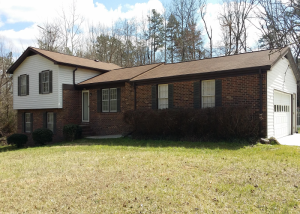 Well maintained 3 BR 2BA ranch home. Hardwood floors. New carpet in LR with fireplace. Large spacious kitchen with bar stool counter, desk with built in shelves. Separate laundry room includes W/D. Large building in backyard with electricity. Ideal for office, craft area, playroom. Fenced yard. 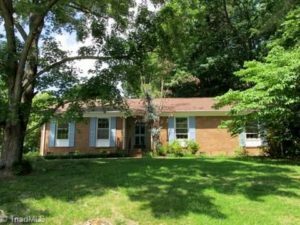 Well maintained home with vaulted ceiling. New carpet and paint in bedrooms and baths. Separate dining room. New stove. One car garage. 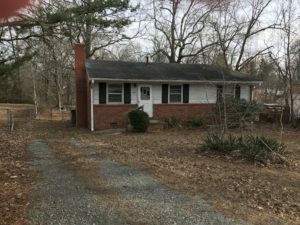 Walking distance to UNCG, Spacious Living room with fireplace and built in book shelves, separate dining room, 1st floor PR. Eat in kitchen with bay window. Ideal for roommates each bedroom has a bath. 2 designated parking spots in back of townhouse. Lovely well kept townhouse just minutes from PTI airport. Spacious eat-in kitchen. Living room with fire place. Sliding doors to fenced patio and storage closet. 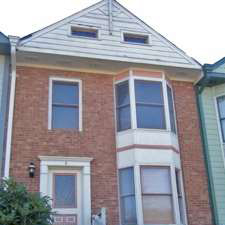 2nd floor has two bedrooms and 2 baths with laundry room W/D hook-up. Great location. Enjoy the pool & clubhouse.